Shaquille O'Neal posed recently for photographs aiming to raise awareness of the pressing need for conservation in Madagascar. The 7’1" 325-pound retired NBA legend held a 5" 2-ounce mouse lemur called Fuggles at Zoo Miami in Florida. This meeting of the world’s smallest primate and one of the world’s largest was organized by National Geographic Explorer and author Mireya Mayor, in connection with conservation groups Centre ValBio and Duke Lemur Centre. Mayor has been working in Madagascar since 1997 and has been involved in primate conservation for over 15 years. 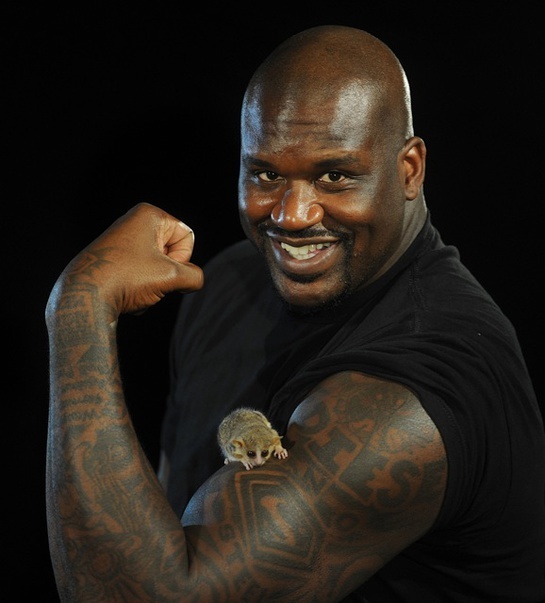 The idea to photograph Shaq with Fuggles came to her when she looked at a National Geographic photograph taken of her and a mouse lemur she co-discovered in northern Madagascar in 2000. Aggressive logging and agricultural development in Madagascar has left the island’s lemurs and other startlingly unique wildlife with only a tiny fraction of their natural habitat. “Having an ambassador like Shaq speaking for the lemurs is a great way of raising awareness about their plight,” said Mayor. 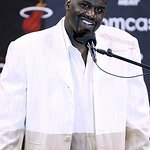 “Centre ValBio is extremely grateful that Shaq is lending his star power to bring attention to the endangered animals and forests of Madagascar”. Shaq seemed touched. “All these little fellows and all of the animals of Madagascar need some love,” he said. 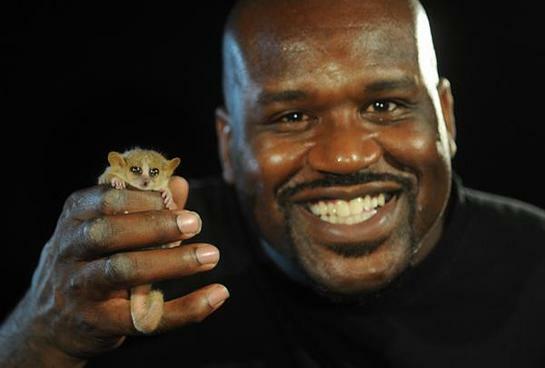 Video: NBA Legend Shaquille O'Neal Meets World's Smallest Primate!